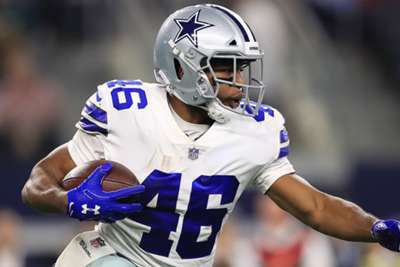 The San Francisco 49ers are to sign veteran running back Alfred Morris, pending a physical, according to head coach Kyle Shanahan. Morris reinforces a backfield that has been hit by injuries, with Matt Breida suffering a separated shoulder in the preseason clash with the Dallas Cowboys last Thursday and presumed starter Jerick McKinnon sustaining a strained calf in Sunday's practice. Both are expected to be back for the start of the regular season but are unlikely to feature again in the preseason. Morris previously worked with Shanahan when the 49ers coach was offensive coordinator for the Washington Redskins. In their two seasons together, Morris rushed for 2,888 yards and 20 touchdowns. "Alf did a great job for us for the two years I was with him," Shanahan said. "It's not flashy, but he runs extremely hard. He's very reliable. He's always been able to — you block it for zero, [he] usually can get at least one. "He's a hard-nosed runner, you can keep handing the ball off to who's very reliable." Morris, 29, spent the majority of his career in Washington after being selected by the Redskins in the 2012 draft but served as Ezekiel Elliott's backup with the Dallas Cowboys for the the past two seasons. A two-time Pro Bowl selection, Morris has 5,503 rushing yards and 32 touchdowns in a six-year career. The Niners are slated to play the Houston Texans in their second preseason game on Saturday.